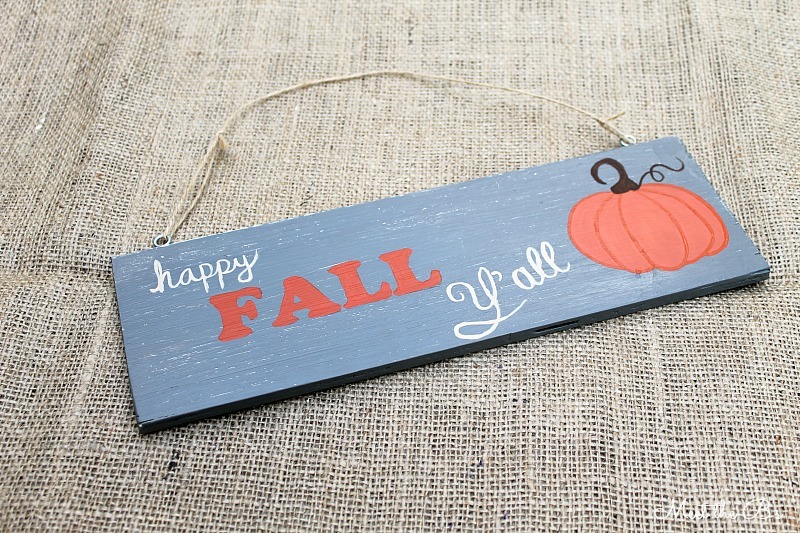 Painted Fall Sign- Happy Fall Y'all! When people ask me where my craftiness came from, I like to give credit to my parents. Both of them are pretty creative and like to make things. I totally think I get my DIY eye from them! Anyway, one of my mom's best gift giving tips is to look at a person's Pinterest for ideas of things they like, want, or need. Well, for my birthday this year, my crafty parents found this DIY column stand on my "Curb Appeal" Pinterest board and decided to make it for me! Aren't they awesome? 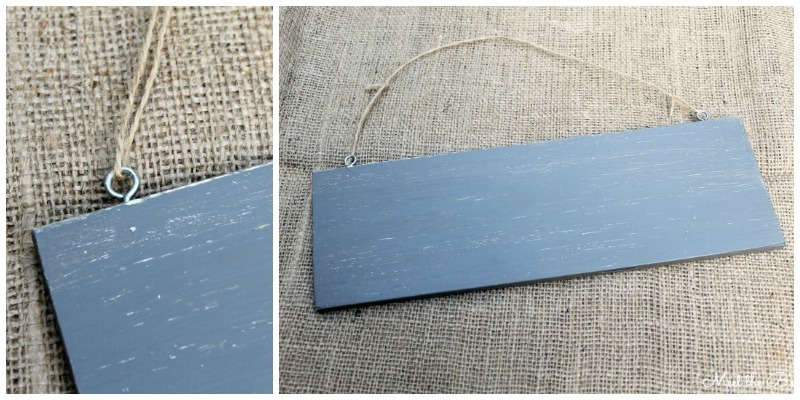 They used this tutorial as a guide and used some scrap wood from the garage to create it. They also used scrap wood to make some signs in different shapes and sizes. They painted them grey, scuffed them up a bit, and left a few blank ones for me to make my own! This is the perfect idea to change out for seasonal and holiday decor! 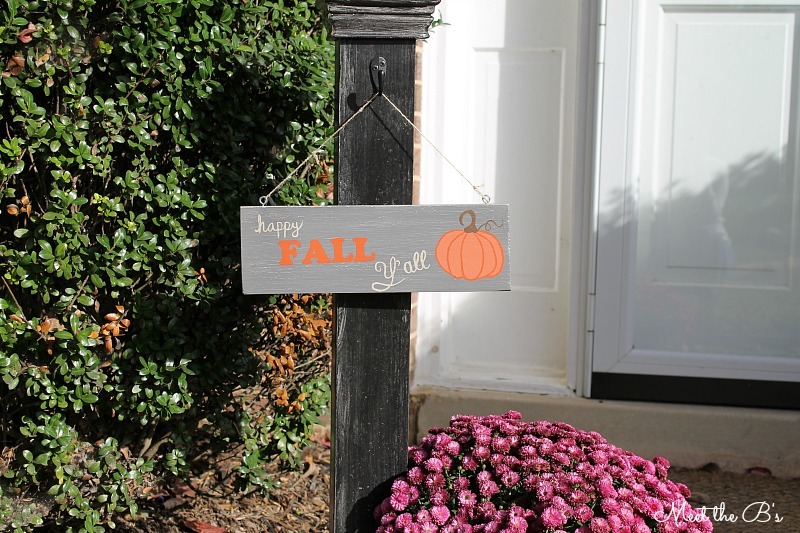 So last month, I made my first sign in honor of fall! Here's a close up of the signs they made me. They screwed some fish eye hooks into the top of the painted wooden boards and used some twine to hold the sign up. Using the blank sign that my parents had made for me, I used my favorite text transfer method to create my design. 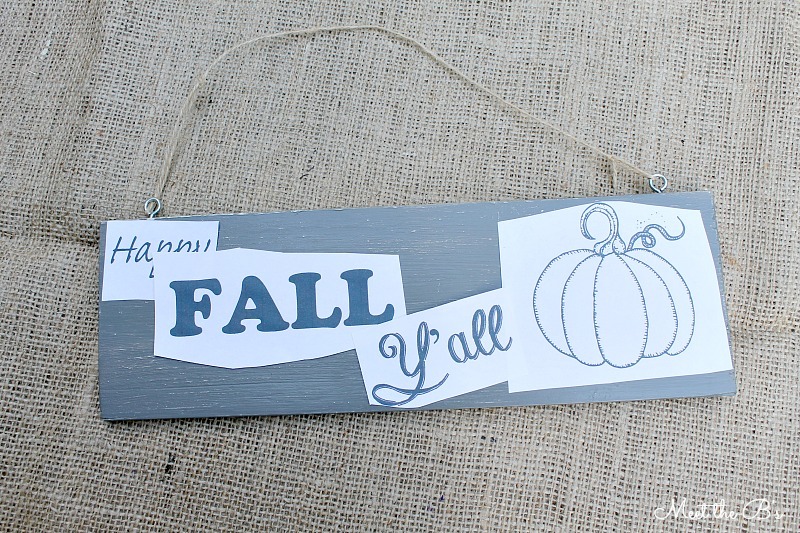 Having spent a good portion of my childhood in the South, I miss hearing everyone say "y'all" and love that it starts coming out around fall where I live now! 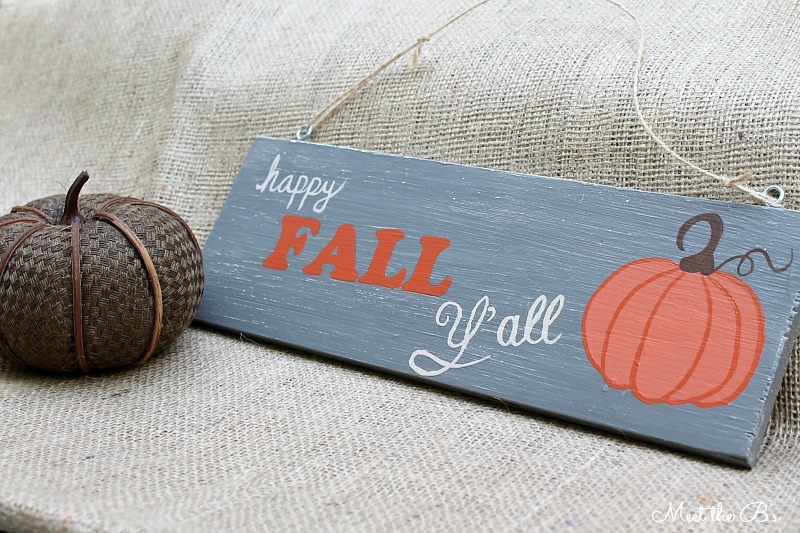 So naturally, "Happy fall y'all!" was perfect for my fall sign! First I printed out the text using a couple different fun fonts (Cooper Standard and Chalk Hand Lettering). I attempted to free hand a pumpkin but it didn't work out so well (oopsy) so I searched for an image I liked and used this super cute one from Domestically Speaking (she has tons of fabulous burlap art on her blog, so be sure to check it out!). 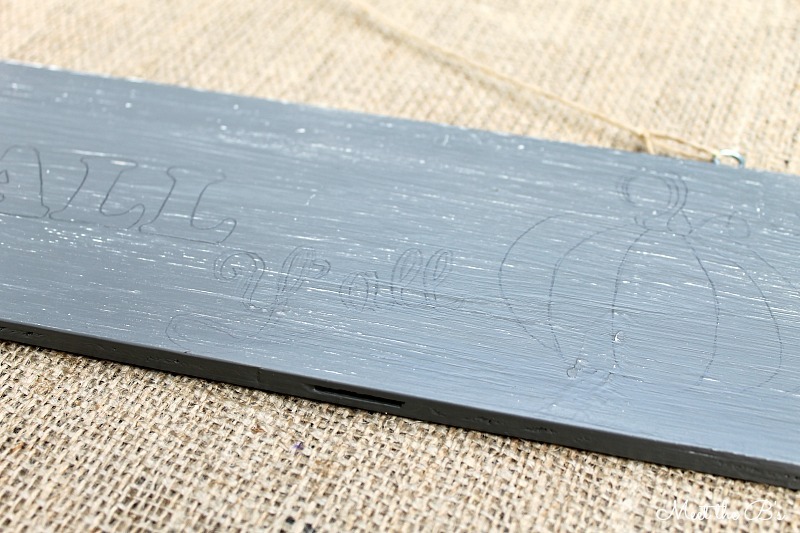 Shade the back of your text and image with a pencil. When you're done, flip them back over and trace them with your pencil. This should leave a lead imprint on the wood. Then, all you have to do is fill in the outlines with paint! I used acrylic paint for this sign and incorporated light orange, burnt orange, beige, and brown. Use whatever colors you like! I'm just so excited about how great it turned out! 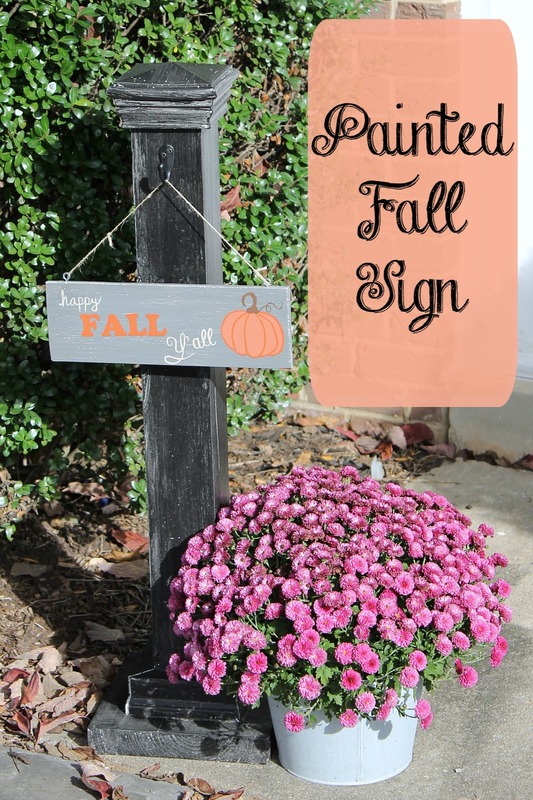 I hope all of my future seasonal signs turn out this cute! 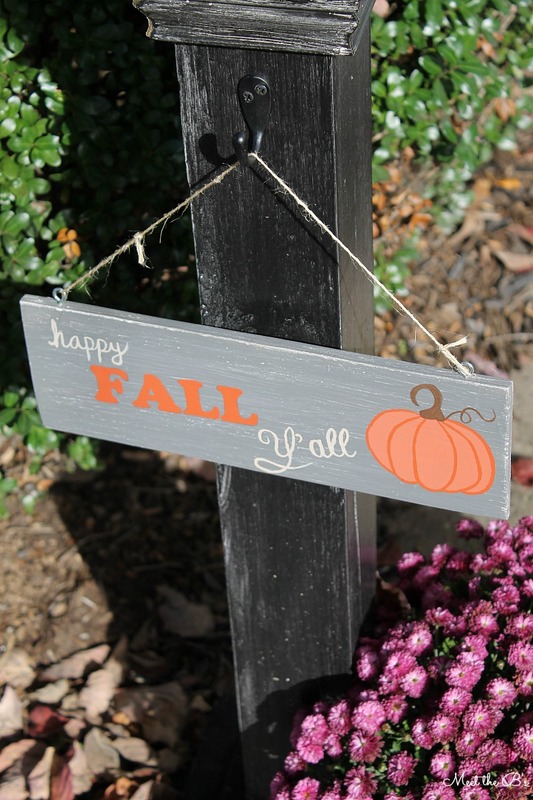 We don't have much of a front porch to decorate, but this little sign is perfect for our front walk way! Just the perfect touch of fall for our front yard!! LOVE, LOVE, LOVE it Nicole!!! SO sweet! This is so cute, Nicole!! Thanks Amanda! I love that I can change it out easily! Hi Nicole! Wow! Your parents did a great job on the column stand! I love how they used what they already had! You did a great job on the signs! Thanks for sharing! Blessings from Bama! This is so cute! I need a post like that in my front yard. I could make a different sign for each holiday or season. Thanks for sharing with Hump Day Happenings! Me, a habitual "y'all" user, of course think this is adorable :) Thanks so much for sharing it at On Display Thursday!